At its Oct. 25 meeting, Oregon City's Parks and Recreation Advisory Committee recommended that the Oregon City Commission approve the name Tyrone S. Woods Memorial Park for a new 9.1-acre park located in the Caufield neighborhood. Out of more than 8,500 votes in August and September for four park-name finalists, over 90 percent were for Tyrone S. Woods Memorial Park. Woods was a native Oregonian and a 1989 graduate of Oregon City High School where he was a star wrestler. Woods was a Navy SEAL and served several decorated combat tours in Iraq and Afghanistan. He lost his life in 2012 in service to his country while working for the CIA. It is hoped that the new park's location next to OCHS will cause students to wonder about the name of the park at the intersection of Glen Oak Road and High School Avenue. Woods' mother, Cheryl Croft Bennett said: "This is an honor that was never anticipated or expected, and I am truly humbled, as Tyrone would be, by this tribute to his legacy of heroism. The American people have goodness in them beyond our comprehension, and this is one beautiful example of their great collective heart. This park will always stand as a symbol of our local community's dedication to never forget Tyrone's courage and sacrifice — a beloved man and fierce patriot who did what was right, not what was easy. I sincerely appreciate all the devoted and caring Americans who voted for my son. Thank you so much." Bennett started the Tyrone S. Woods Wrestling Foundation in 2015 after she talked to his former wrestling coach, and they decided to direct funding to wrestling programs of the type that made such a difference to her son. The park is slated for construction next spring. 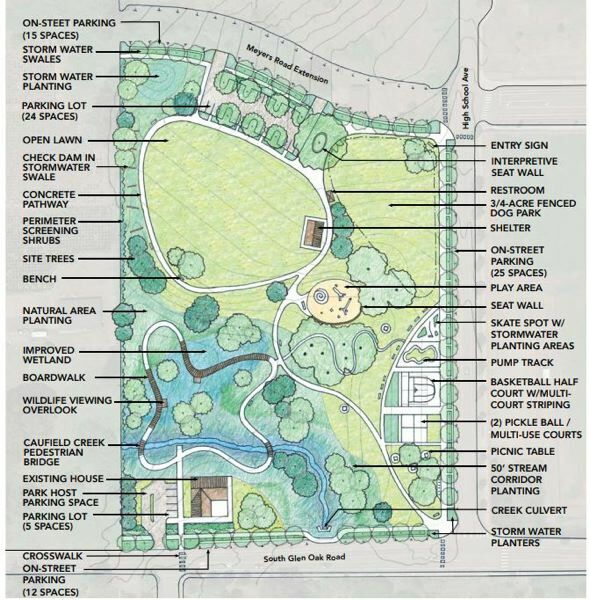 The park will include an open lawn area, playground, picnic shelter, boardwalk, walking path and off-leash dog park. At the City Commission meeting on Dec. 5, commissioners can adopt the name Tyrone S. Woods Memorial Park.